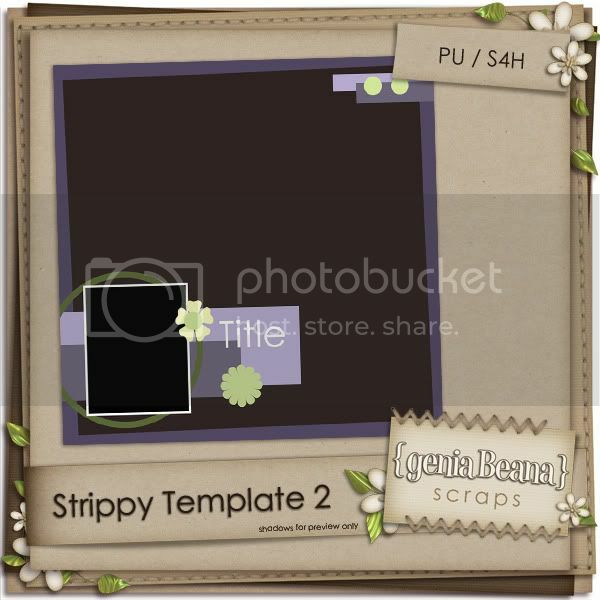 geniaBeana Scraps: A new scrapper, a new computer, and a NEW KIT, Too! A new scrapper, a new computer, and a NEW KIT, Too! The other day my daughter, who is just 3, told me she wanted to "do some scrapbook." 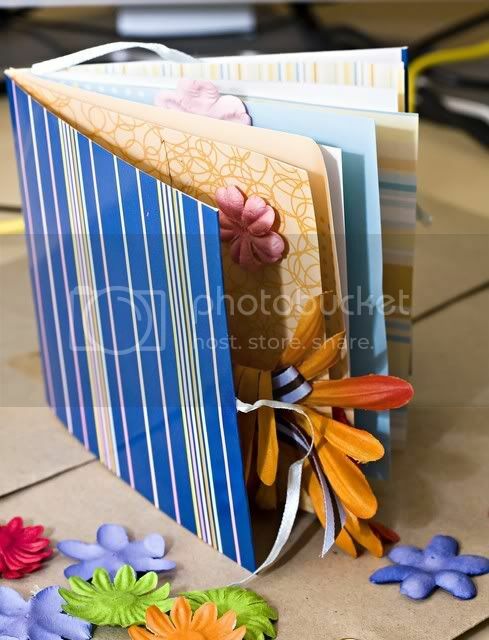 So dug through my paper scrap supplies and came out with a Color Bok 4x4 mini album and printed papers that I grabbed from the $1 bin at Jo-Anns a few months ago. She had a package of foam ladybug stickers I had bought for her on Friday and was ready to go. 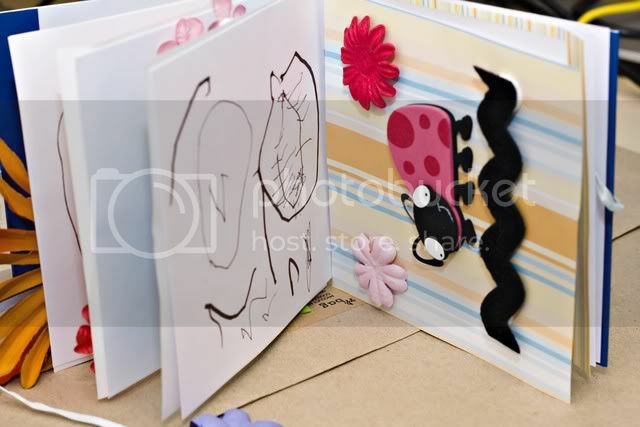 I gave her the pieces and showed her how to attach the papers to the pages in the album. She and her brother recently made their dad birthday cards, which is when she learned how to use (and over-use) a basic tape roller. She sat down and got right to work. When she was finished putting the papers in and sticking her stickers to the pages, she brought it over to show me, and of course I decided it needed further embellishment. Since I have a nice stash of paper flowers and other fun things I gave her some of those and a sheet of Pop Dots (her new favorite thing btw) and she set out to make her little scrapbook beautiful. I also gave her one of my scrapbook pens and she doodled on most of her pages. 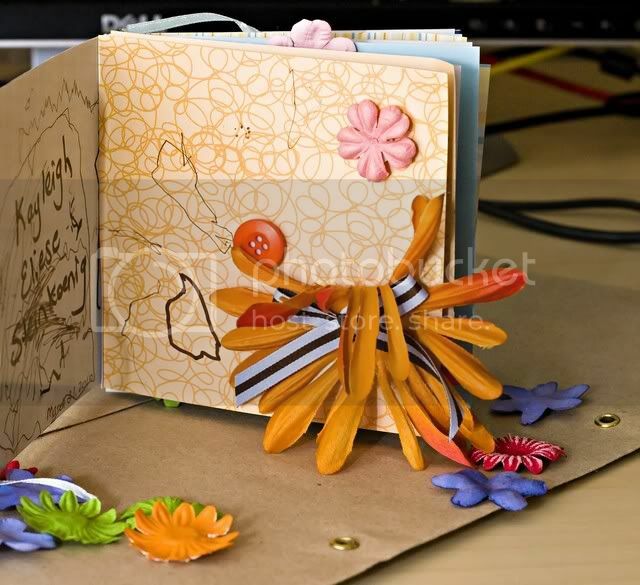 She had a great time sticking the flowers and some buttons to the pages in her mini album and was very proud of the finished product. I had finally the perfect photos to scrap with my "Dad's A Geek" kit I created for last father's day. While I was working on the layout I decided that I will likely open that kit up and give it an overhaul. The papers and textures are no longer up to my current standards. 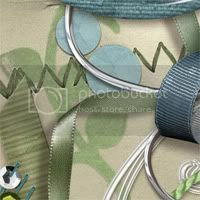 :) So be looking for a newly released version of that kit soon. 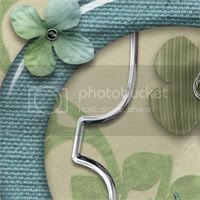 Anyway, here is the page I did for the Roadmap to Scrap Challenge over at ScrapMatters this week. 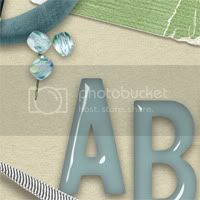 I've got a beautiful new kit in my shoppes at ES and GDS today. It's soft colors are so soothing. It makes me feel calm and peaceful when I look at it. My CT has some gorgeous layouts to inspire you. It's on SALE for 30% off for this week only. And since you were so patient with me during this long blog post I have a freebie template to share. Sounds like you've had a lot of fun at your house lately!! Thanks for the template! Thank you so much for this post. 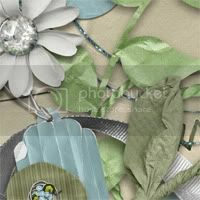 I want to let you know that I posted a link to your blog in CBH Digital Scrapbooking Freebies, under the Page 11 post on Mar. 23, 2010. Thanks again. OMG Val!! That scrapbook is so cute!! I now what Nik will be doing our next rainy day!! 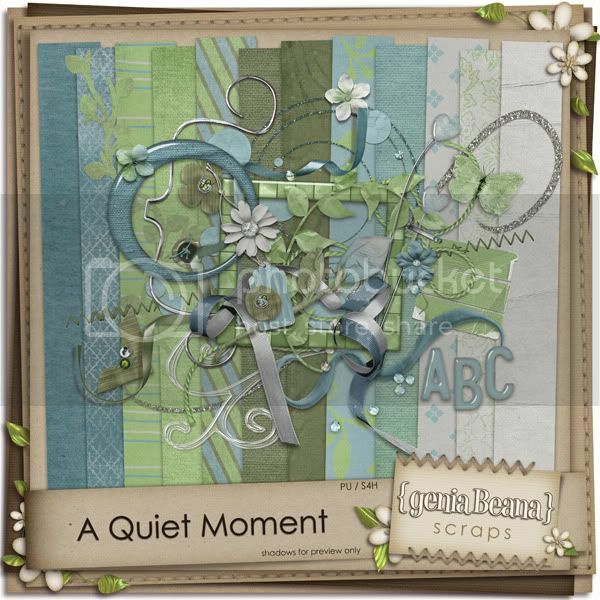 gorgeous new kit and darling memory of your lil one creating her first scrapbook! look forward to seein your revamped dad's a geek kit...I miss the first one..I lost mine when my computer took a crash...but at least I'm back up with a new puter! Val that album your DD made is fabulous! Now I have to donate some paper supplies to Chel so Nik can make one! So cute! Gigglerific New Kit and a freebie! New $1 Day CU at ES Today!